All Country Manors homes currently listed for sale in Delray Beach as of 04/21/2019 are shown below. You can change the search criteria at any time by pressing the 'Change Search' button below. "Located just minutes from the beach, you'll love this light, bright, fully furnished villa in fun-filled Country Manors community. Open concept floorplan offers a variety of design options, with lovely ceramic tile and crown molding. Charming and roomy kitchen with breakfast bar, granite surfaces, custom cabinetry and stainless steel appliances. Lovely bedrooms with large, updated bathrooms. Cheerful Florida room offers a comfortable spot for additional seating or entertaining space. Attached carport for maximum convenience. Enjoy the many amenities of life in Country Manors including a variety of social and recreational activities. Participate in one of the many clubs, work out in an exercise class, play shuffleboard, or swim in one of the nine pools; you'll always find something going on"
"Immaculate, Move-In-Ready Villa in the heart of trendy Delray Beach! 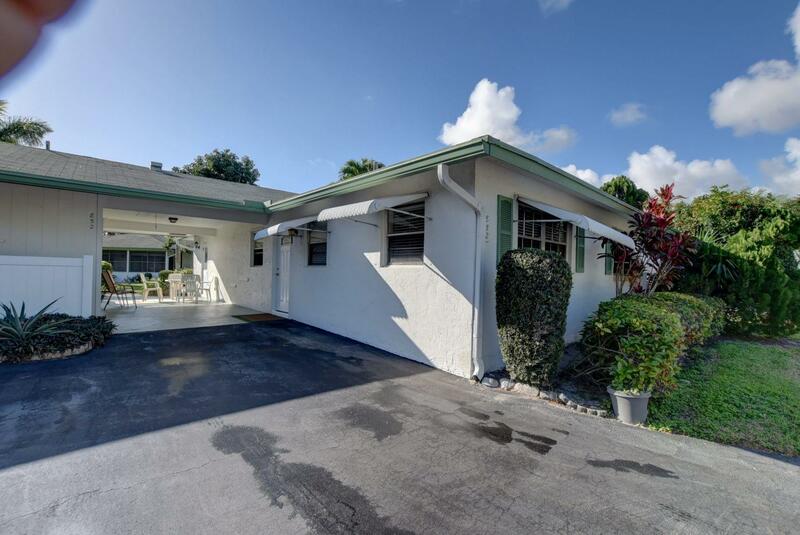 Close to famed Atlantic Ave restaurants and beaches. 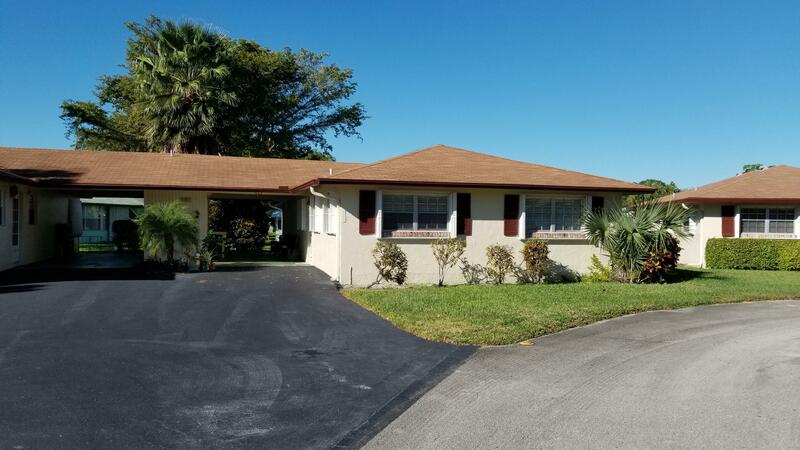 Updated 2 BR/2 BA Villa featuring 2 new full baths with granite countertops and designer cabinets, tile throughout, new dishwasher and matched appliances, decorative lighting, a bright and spacious Florida room, carport, and a separate laundry and storage room. Freshly painted inside and out. 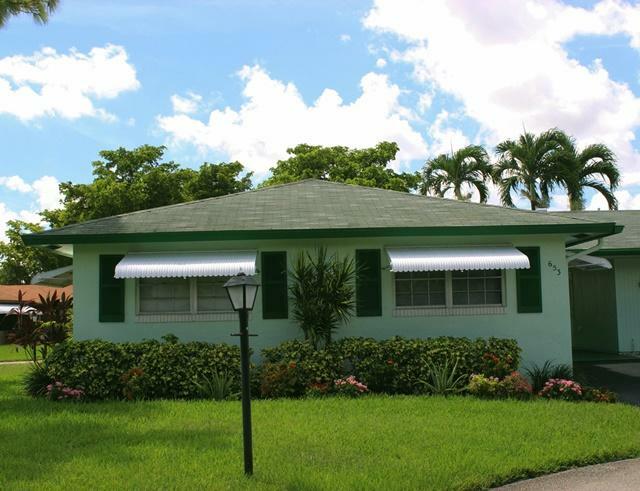 Bright and cheerful, the Villa is surrounded by beautifully maintained landscaping. Low maintenance fee includes clubhouse, resort style heated pool, common area maintenance, landscaping, cable, water, external painting and repaving. 55+ Community." "This charming bungalow just minutes from the water's edge is big on style and thoughtful design. You'll love the ease and convenience of the open floor plan, offering ample space for dining, entertaining, or just relaxing. Enjoy the light-filled kitchen. Relax and renew with two owner's suites for optimal space and privacy. Luxuriate in the spa-like bathrooms with walk-in showers and upgraded fixtures and finishes. Live your sun-filled lifestyle every day of the year -- with a spectacular and spacious Florida room and covered outdoor terrace, every day is a staycation. Fun-filled Country Manors subdivision features nine pools and year-round community events and activities." "Located just minutes from the beach, you'll love this light, bright villa in fun-filled Country Manors community. Open concept floorplan offers a variety of design options, with attractive wood flooring throughout. Charming and roomy kitchen with lovely large windows. Fabulous and expansive Florida room with plenty of privacy and a view of the garden includes blinds for particularly sunny days. Here you'll find space for relaxation or entertaining. Attached carport and garage for maximum convenience. Enjoy the many amenities of life in Country Manors including a wide variety of social and recreational activities. Whether you participate in one of the many clubs, workout in an exercise class, play shuffleboard, or swim in one of the nine pools, you'll always find something fun going on." "OWNER SAYS SELL!! ALL REASONABLE OFFERS WILL BE CONSIDERED. Location Location...Perfect situated on a quiet tree lined interior cul de sac lot just steps from the community pool. 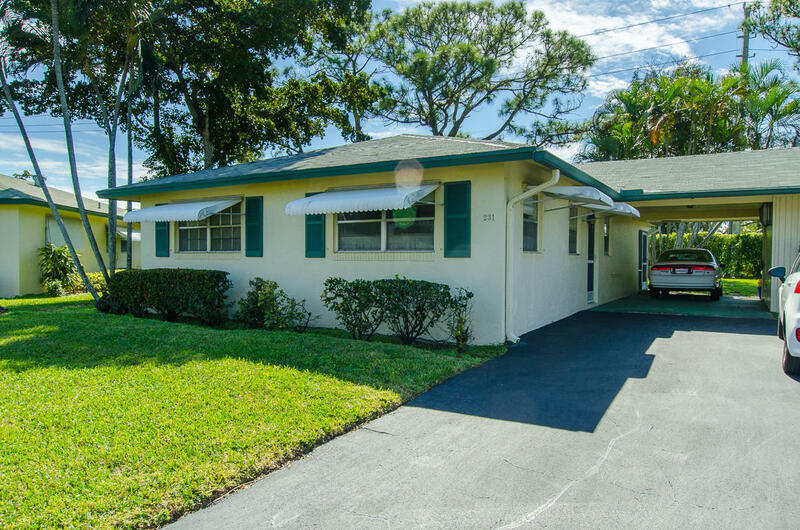 This spacious 2/2 has been tastefully updated with newer kitchen, flooring and baths. 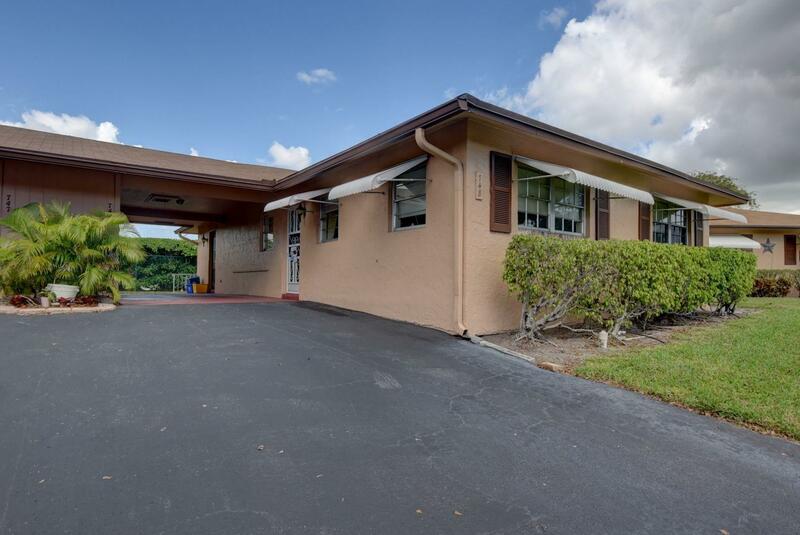 This expanded floor plan features additional air conditioned square footage and a carport and extended driveway. Must be seen to be appreciated. Priced to sell."